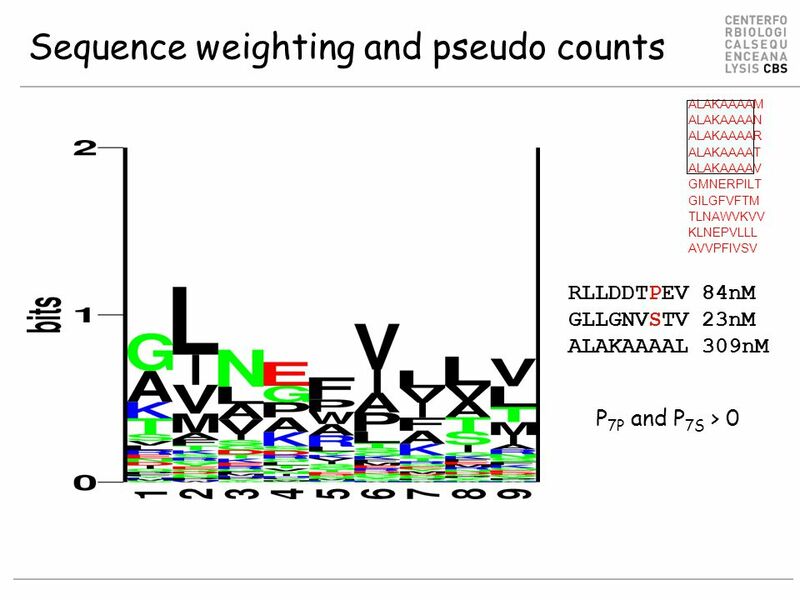 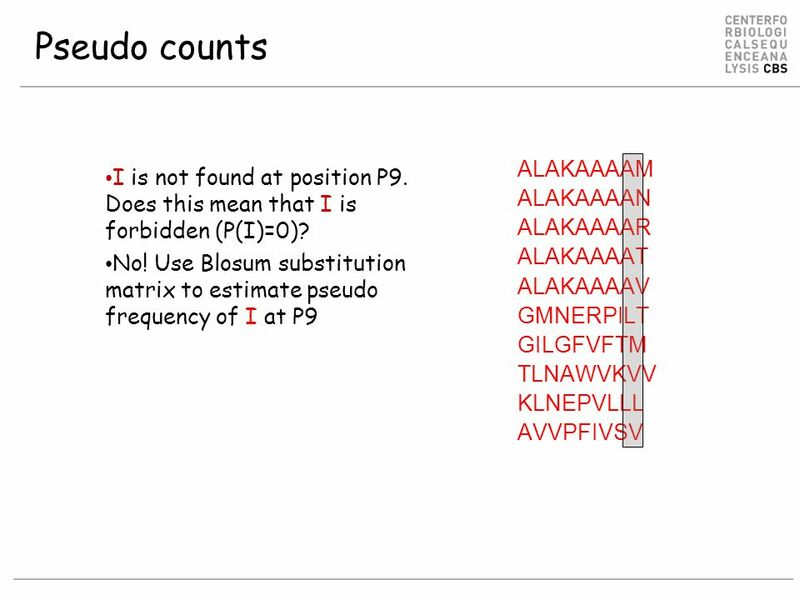 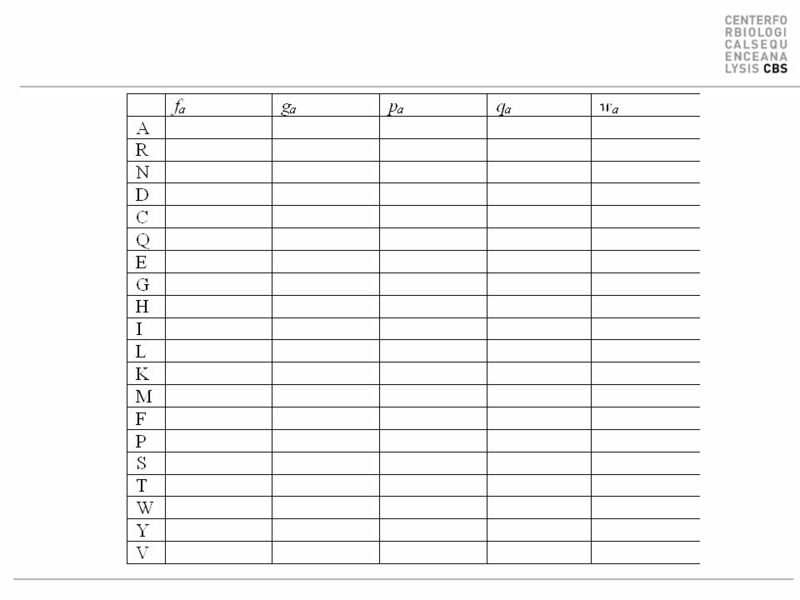 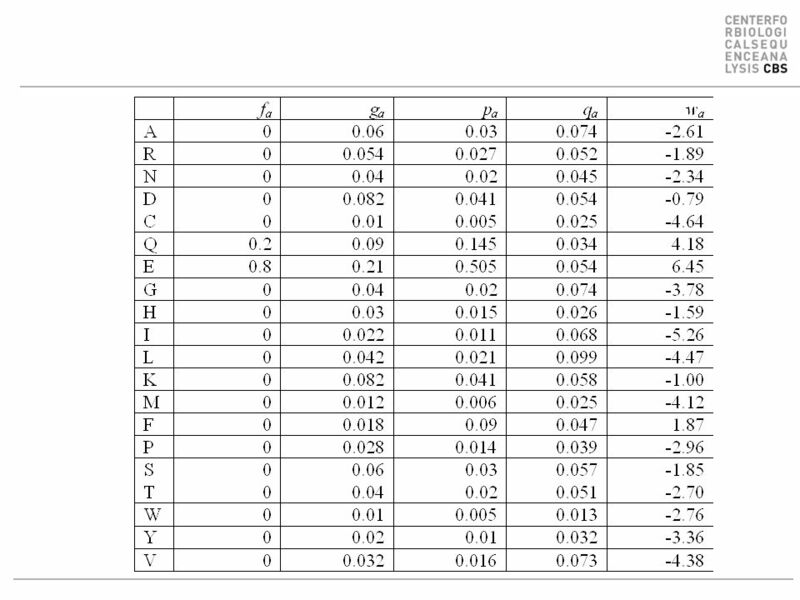 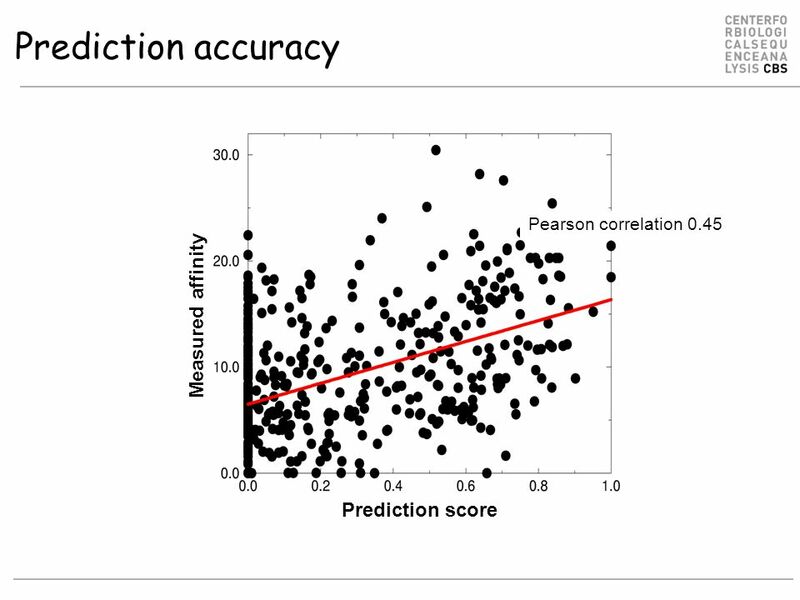 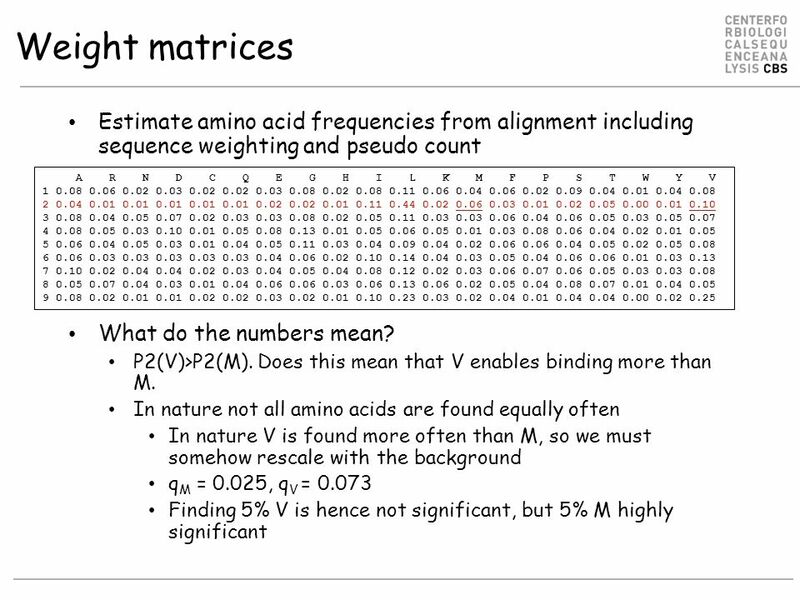 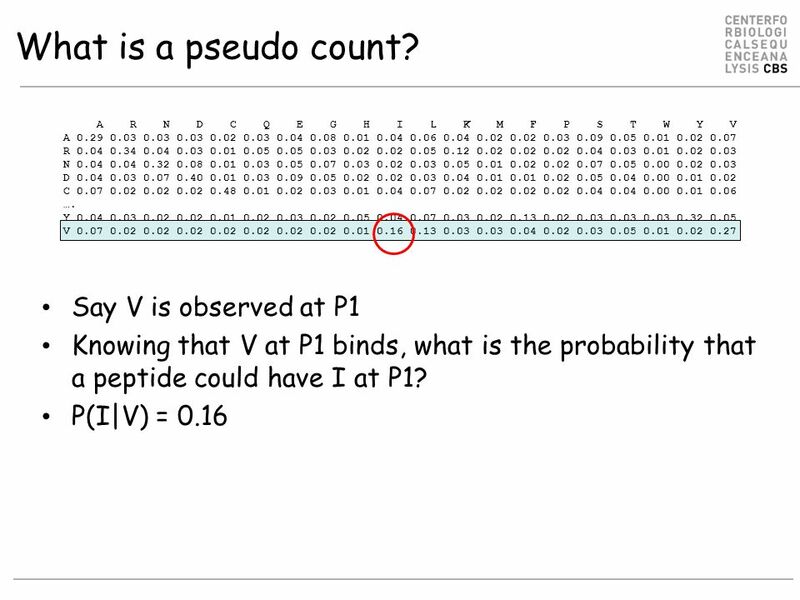 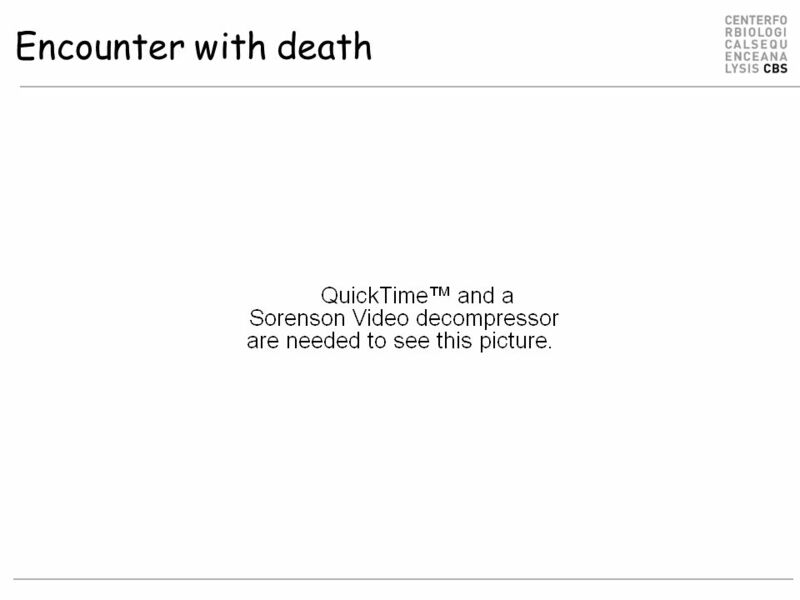 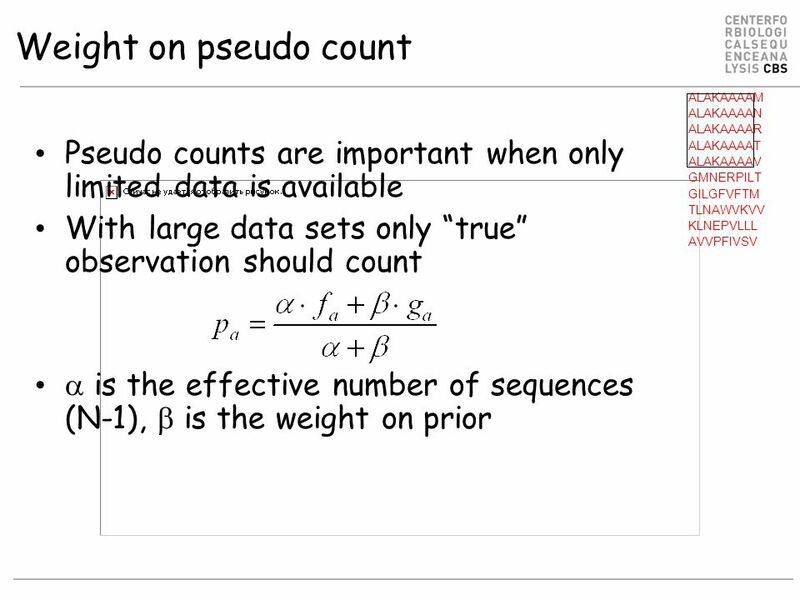 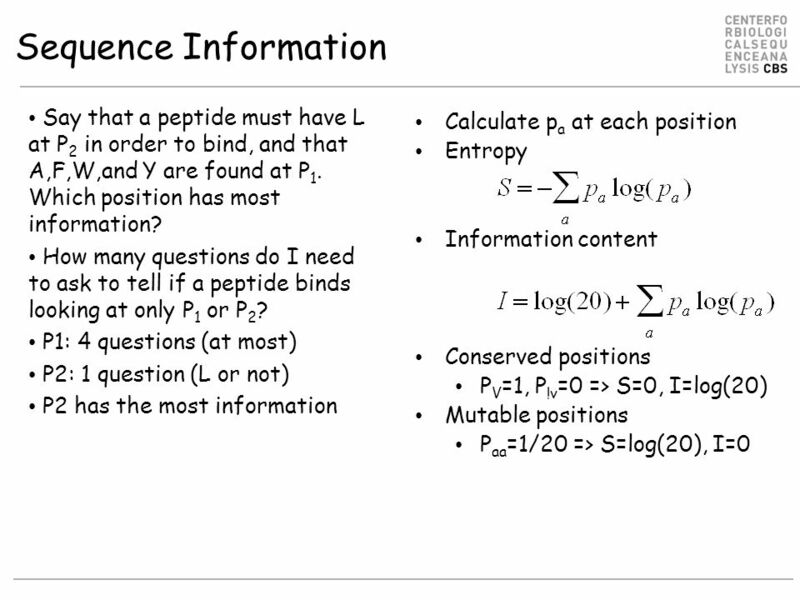 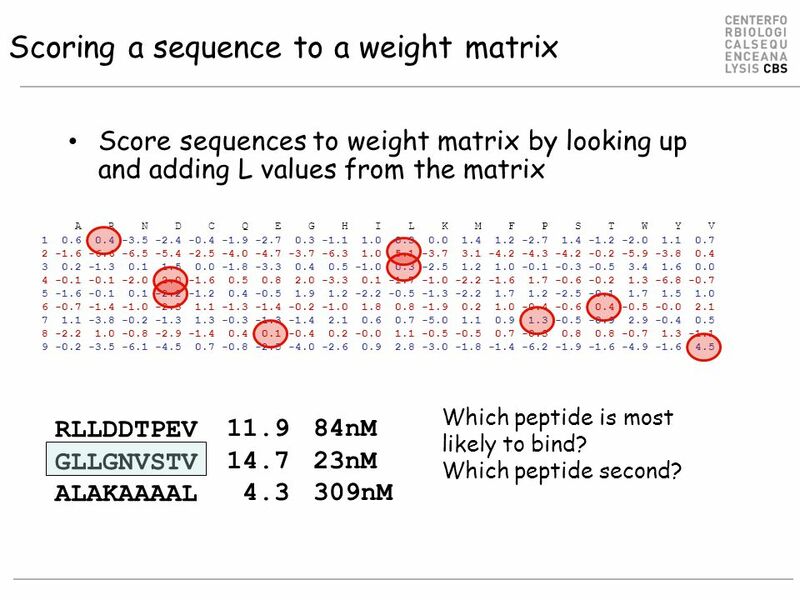 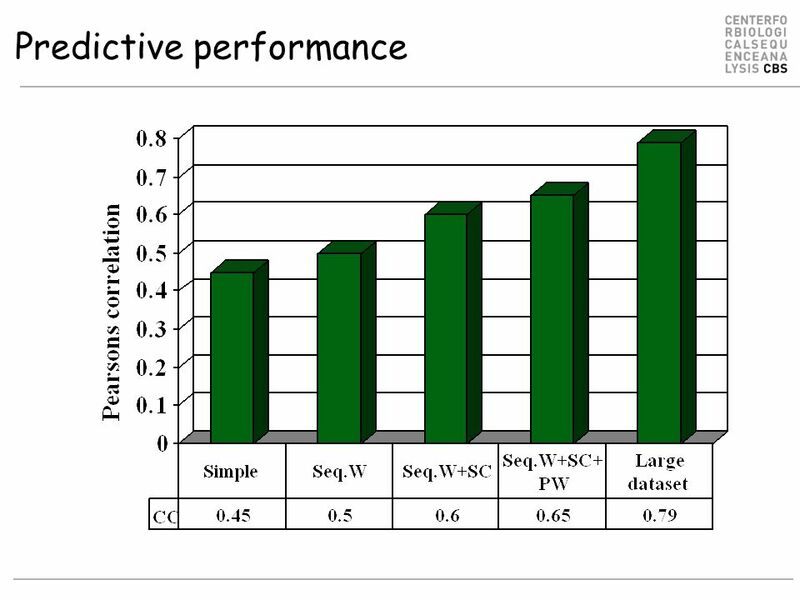 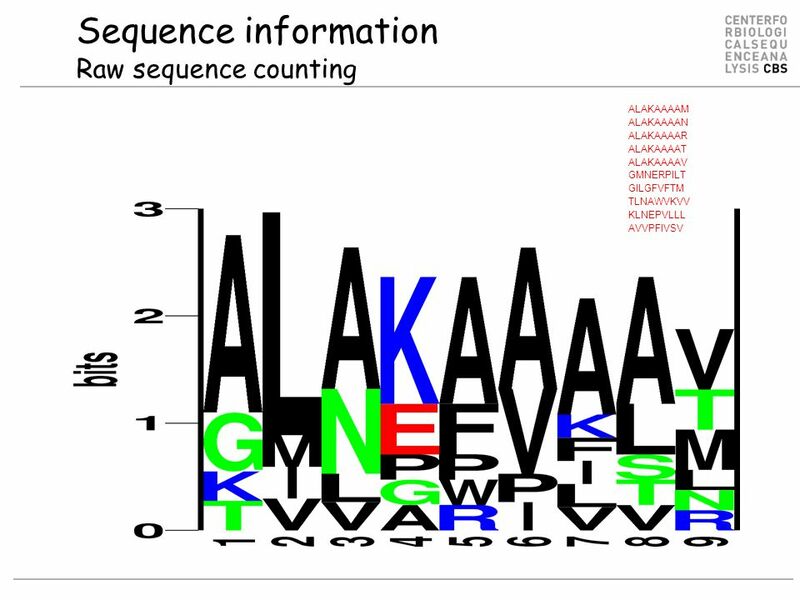 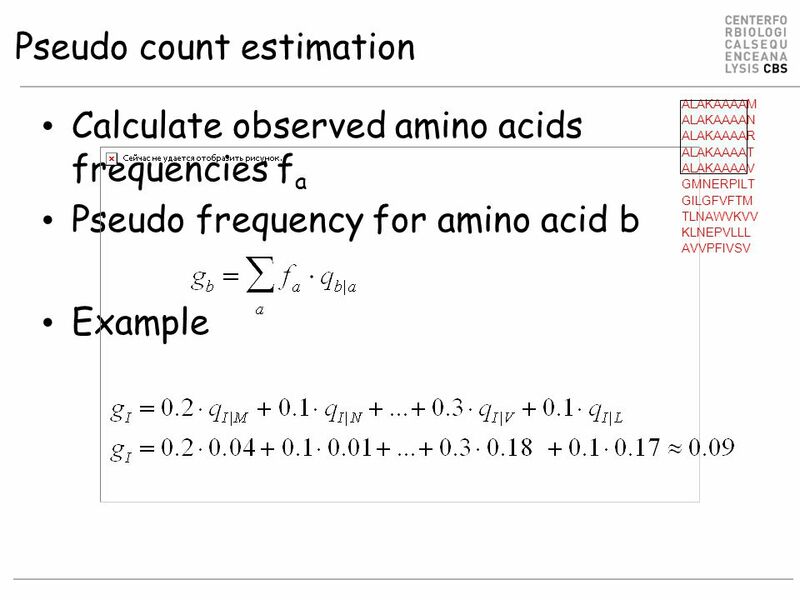 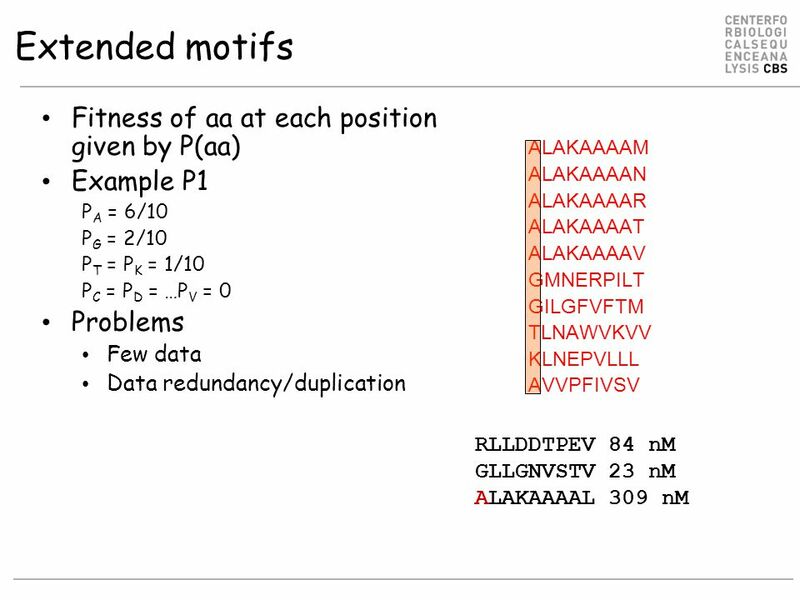 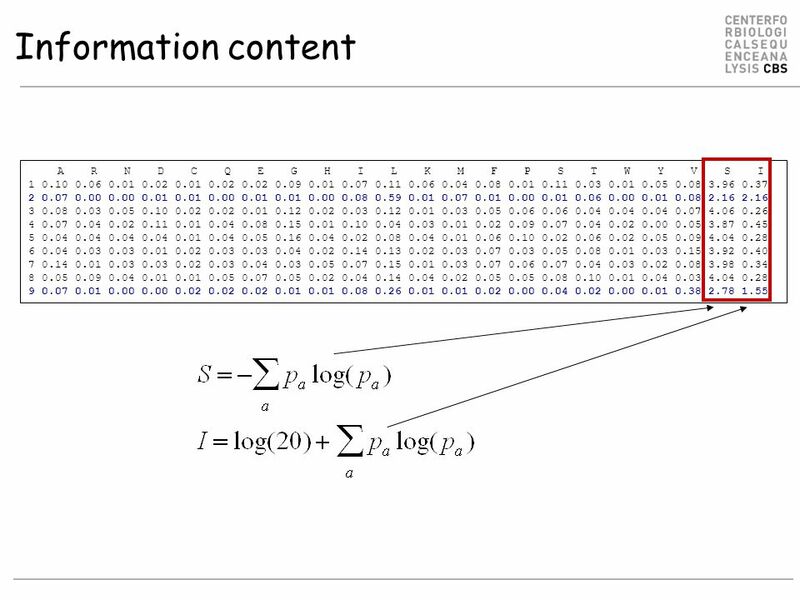 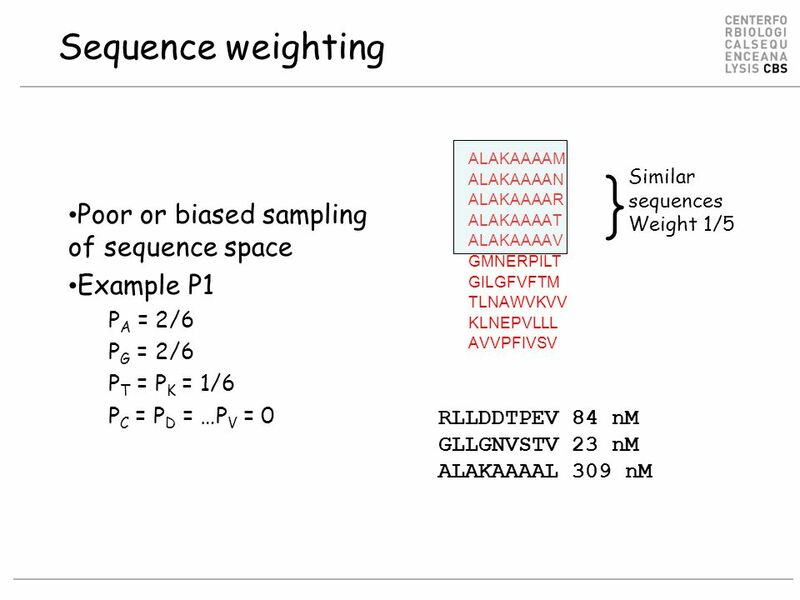 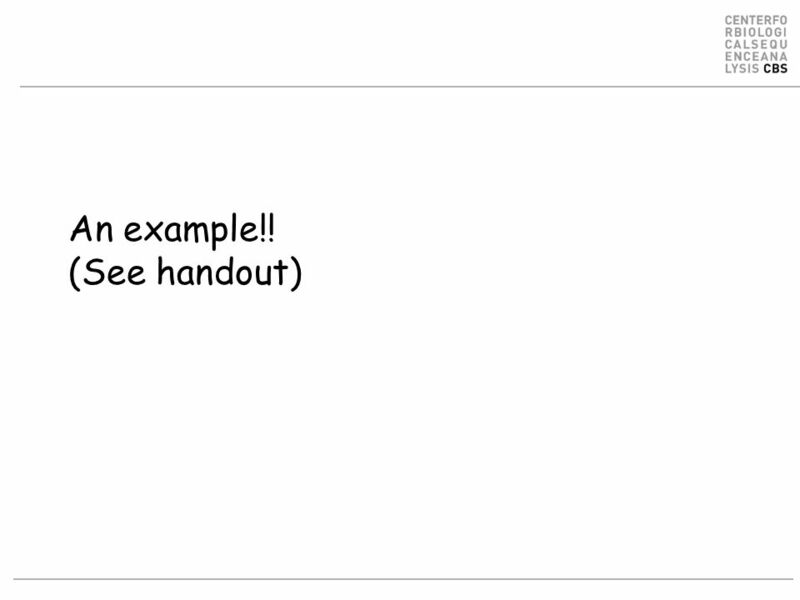 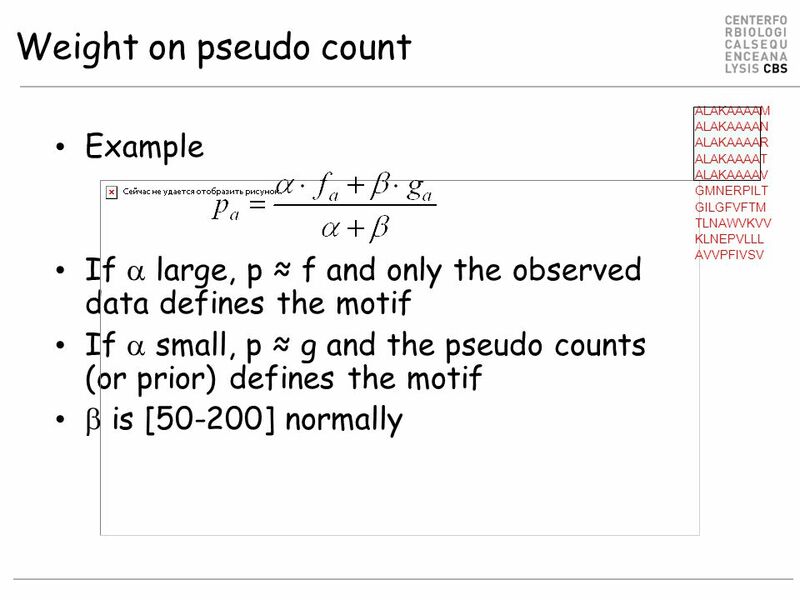 Download ppt "Sequence motifs, information content, logos, and Weight matrices"
Artificial Neural Networks 1 Morten Nielsen Department of Systems Biology, DTU. 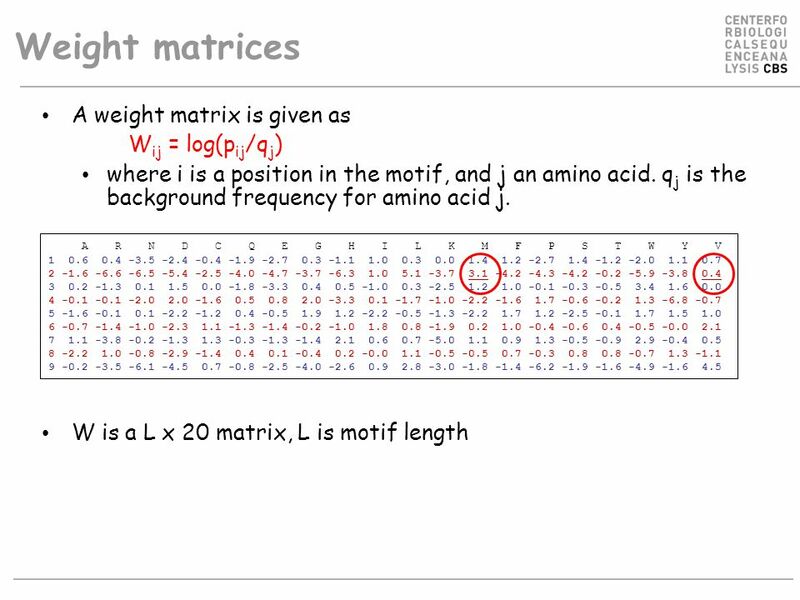 Artificial Neural Networks 1 Morten Nielsen Department of Systems Biology, DTU IIB-INTECH, UNSAM, Argentina. 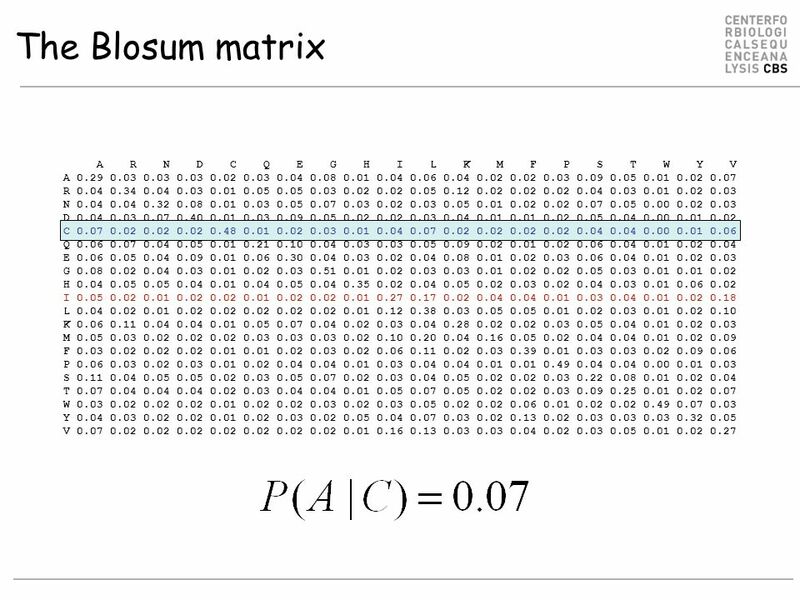 CENTER FOR BIOLOGICAL SEQUENCE ANALYSISTECHNICAL UNIVERSITY OF DENMARK DTU T cell Epitope predictions using bioinformatics (Hidden Markov models) Morten. 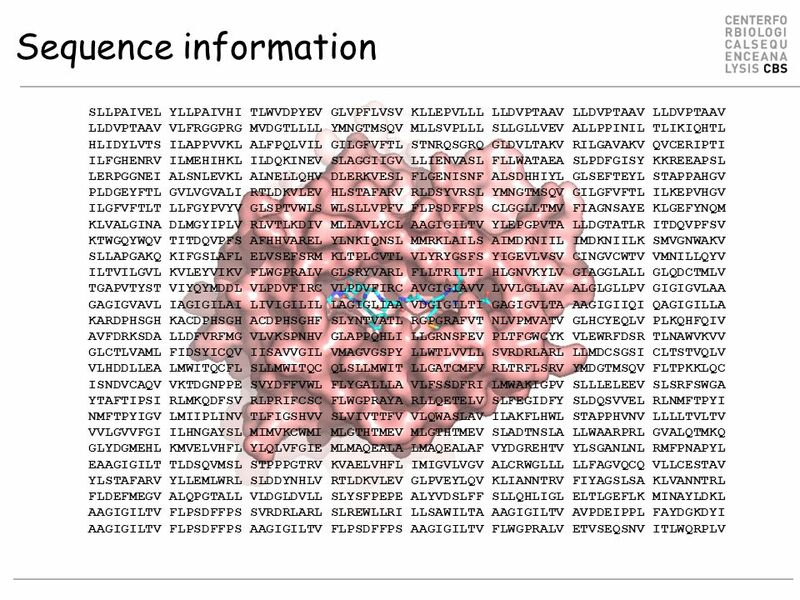 Immune system overview in 10 minutes The non-immunologist guide to the immune system Morten Nielsen Department of Systems Biology DTU. 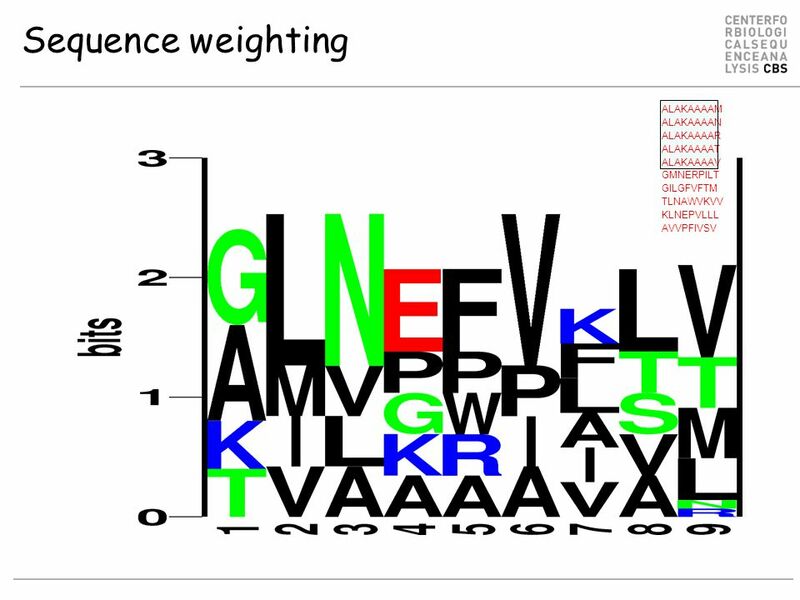 CENTER FOR BIOLOGICAL SEQUENCE ANALYSISTECHNICAL UNIVERSITY OF DENMARK DTU Project in Immunological Bioinformatics Morten Nielsen, CBS, BioCentrum, DTU. 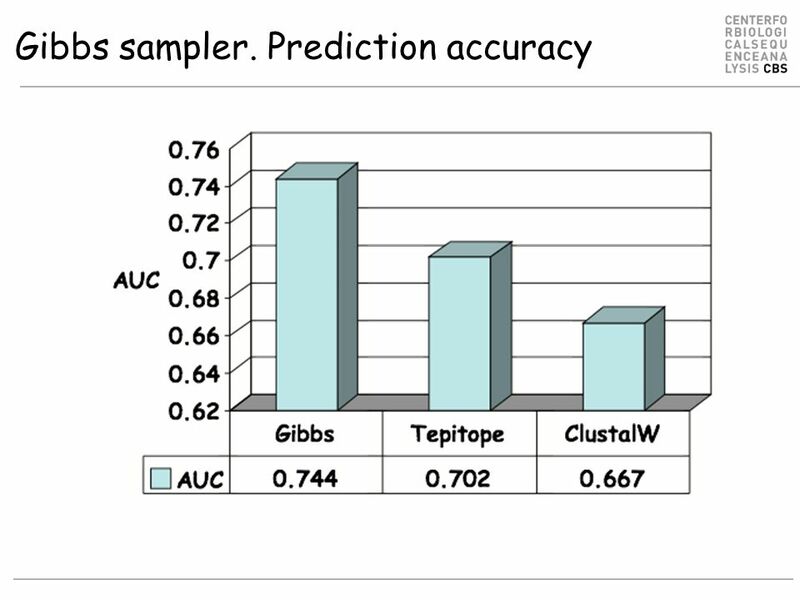 CENTER FOR BIOLOGICAL SEQUENCE ANALYSISTECHNICAL UNIVERSITY OF DENMARK DTU T cell Epitope predictions using bioinformatics (Neural Networks and hidden. 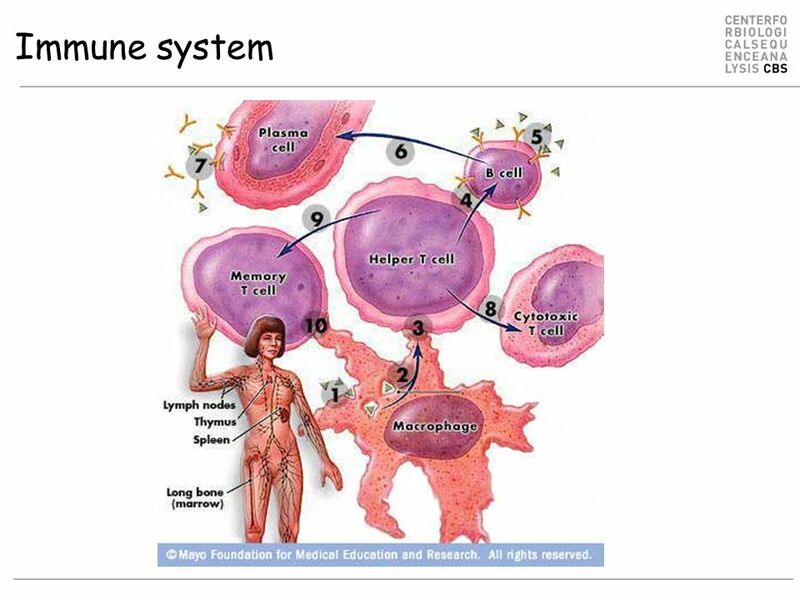 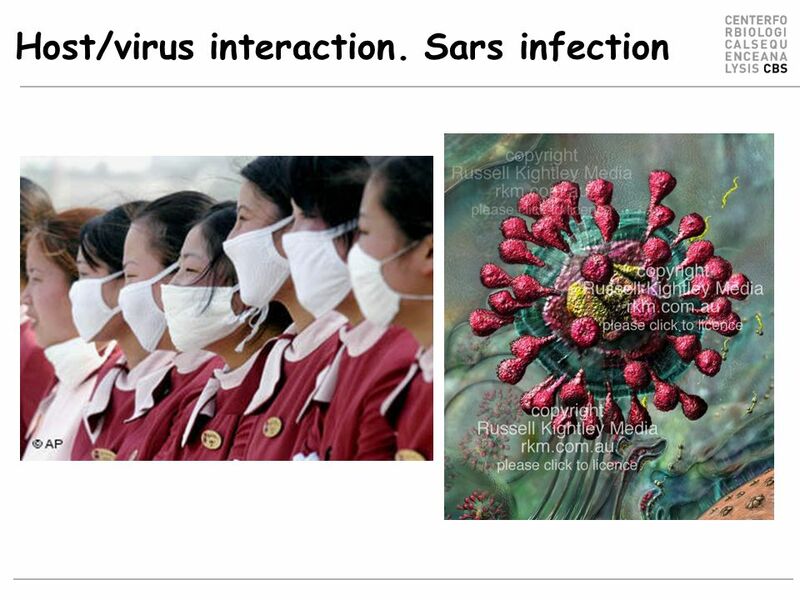 Immune system overview in 10 minutes The non-immunologist guide to the immune system. 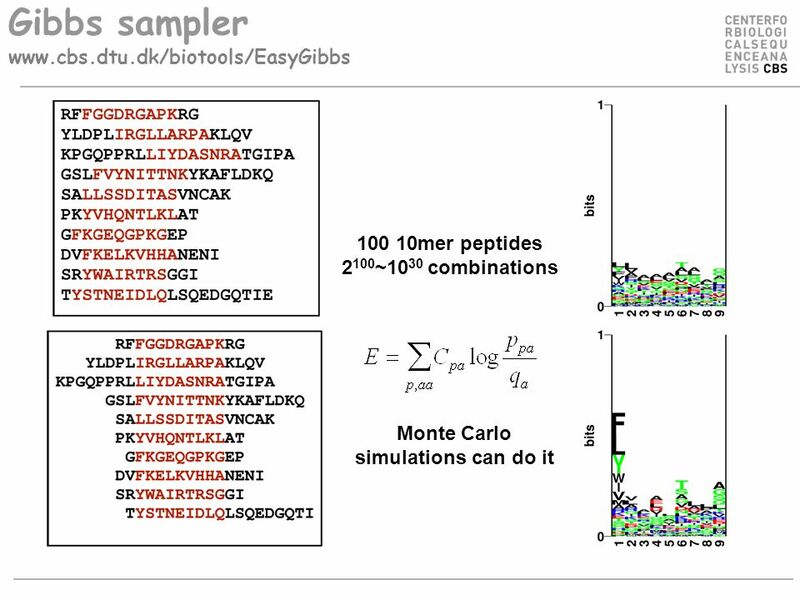 Gibbs sampling Morten Nielsen, CBS, BioSys, DTU. 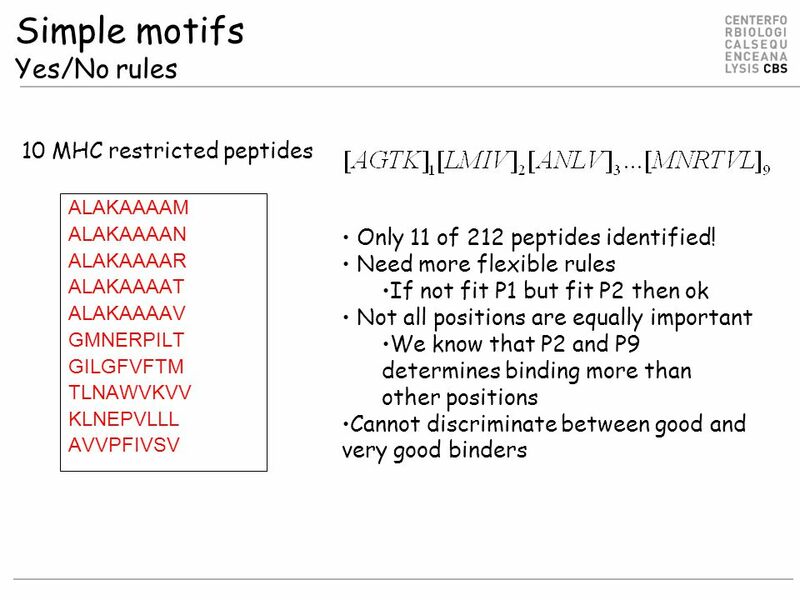 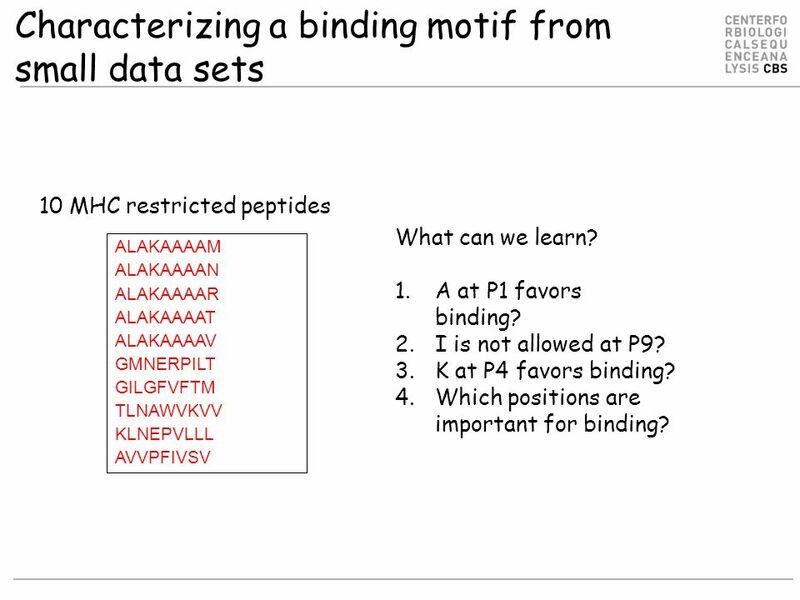 Class II MHC binding MHC class II binds peptides in the class II antigen presentation pathway Binds peptides. 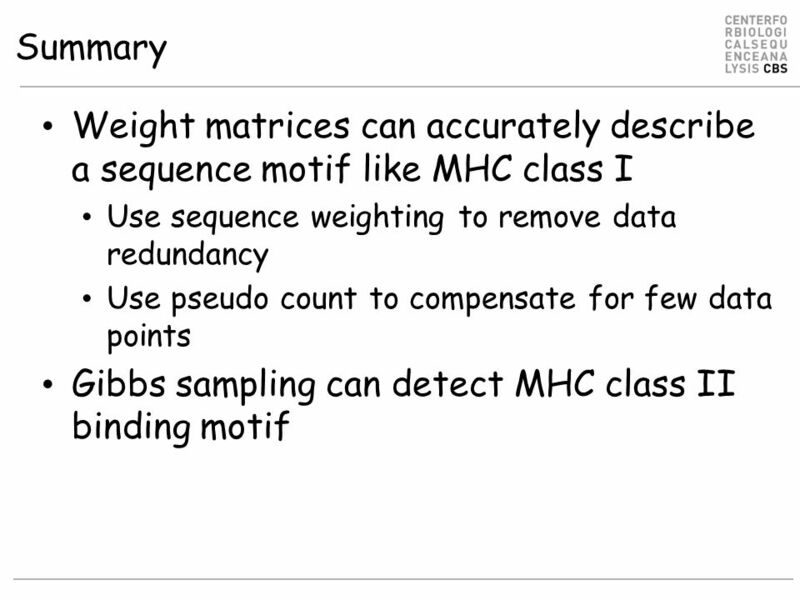 MHC binding and MHC polymorphism Or Finding the needle in the haystack. 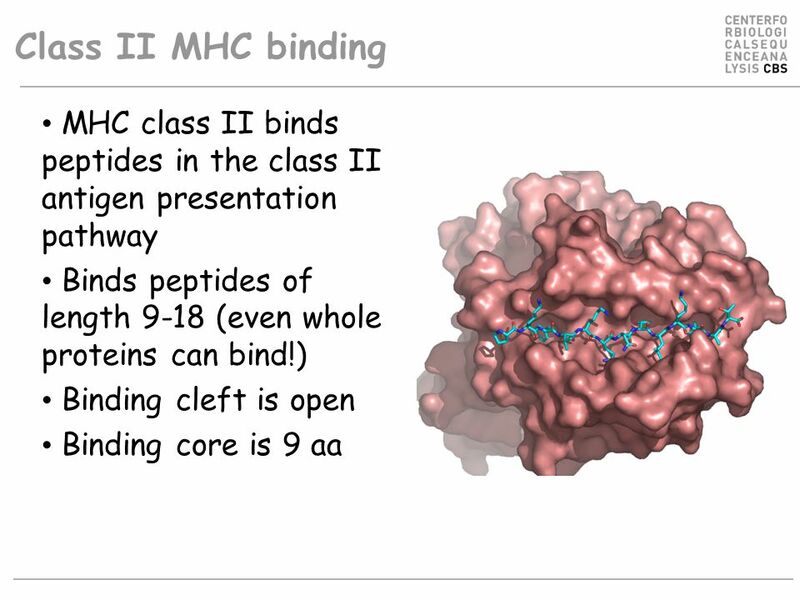 MHC binding and MHC polymorphism. 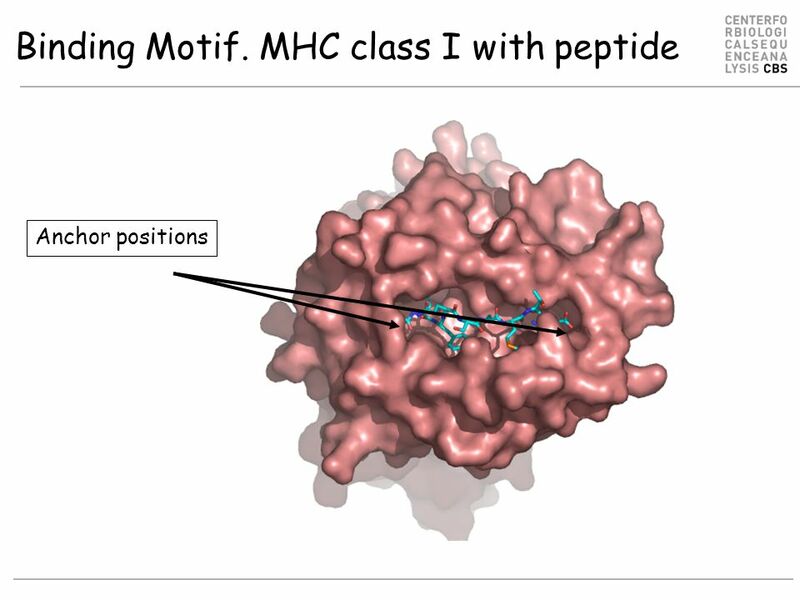 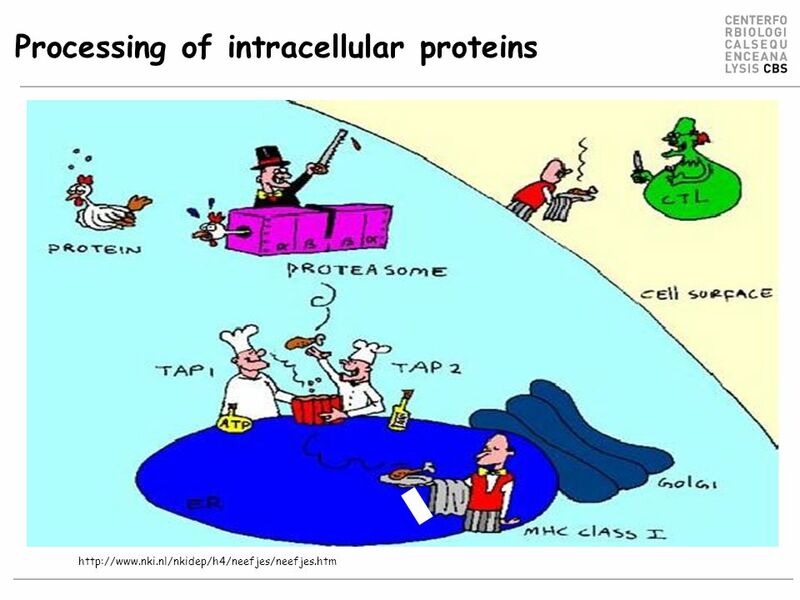 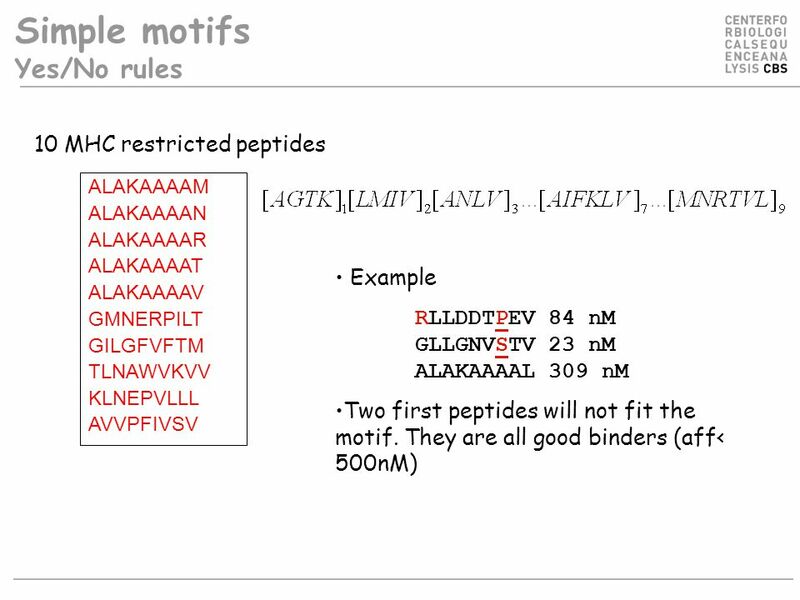 MHC-I molecules present peptides on the surface of most cells. 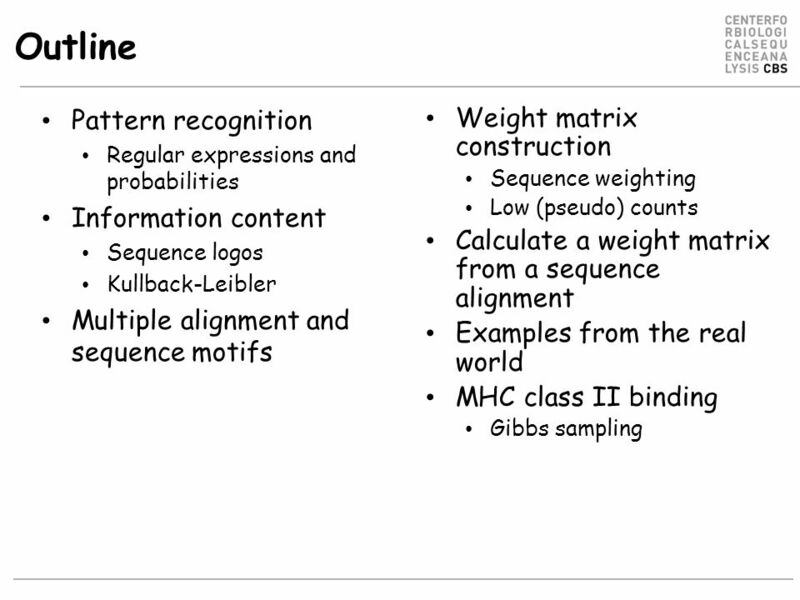 Sequence motifs, information content, logos, and HMM’s Morten Nielsen, CBS, BioCentrum, DTU. 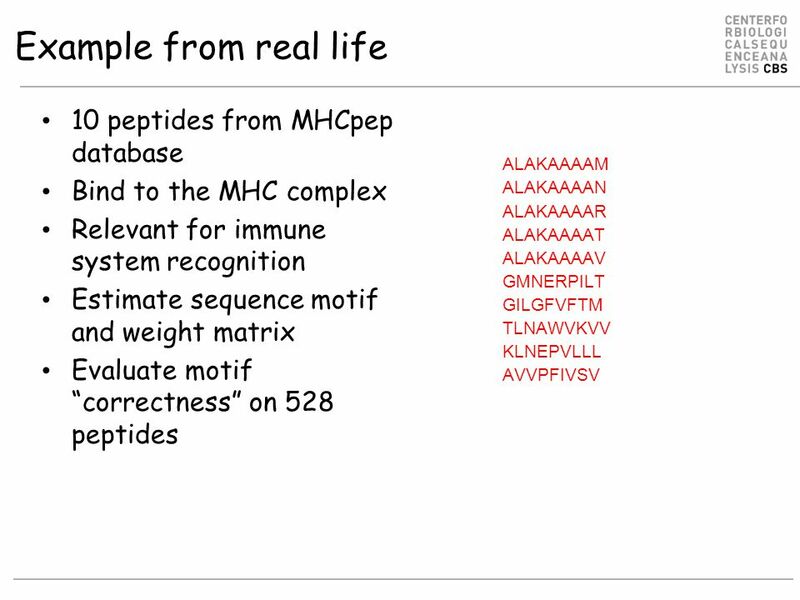 Predicting peptide MHC interactions Morten Nielsen, CBS, Depart of Systems Biology, DTU. 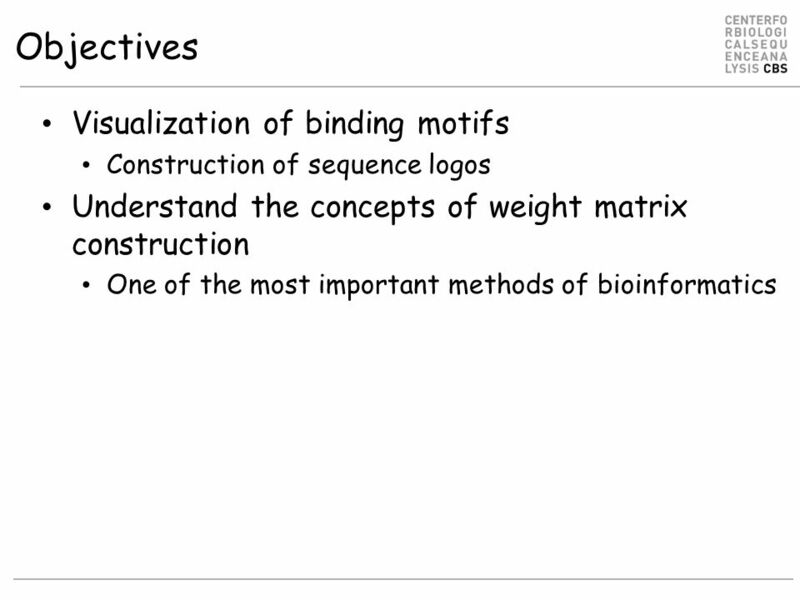 Sequence motifs, information content, and sequence logos Morten Nielsen, CBS, Depart of Systems Biology, DTU.